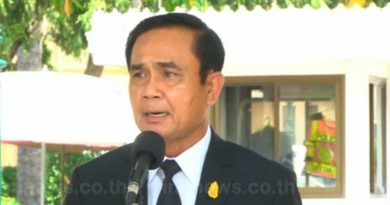 PRIME Minister Prayut Chan-o-cha topped an opinion poll as the public’s favorite to be the next prime minister but the majority also doubt that an election will be held in February 2019, INN News reported today (May 13, 2018). 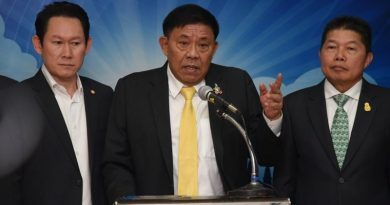 The nationwide opinion poll conducted by the National Institute of Development Administration (NIDA) with 1,250 representative samples questioned also showed that 57.52% want new political parties to run, develop and improve the country while 37.36% support the older parties because they have seen their performance. 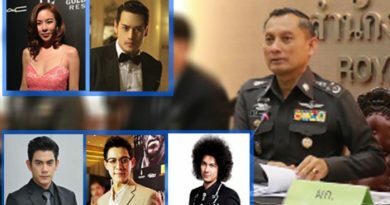 Gen Prayut was the public’s top choice as the next prime minister in this survey, with 32.24% supporting him; coming next was Khunying Sudarat Keyuraphan (Pheu Thai Party) with 17.44%; and in the third place was Apisit Vejjajiva (Democrat Party) with 14.24%. 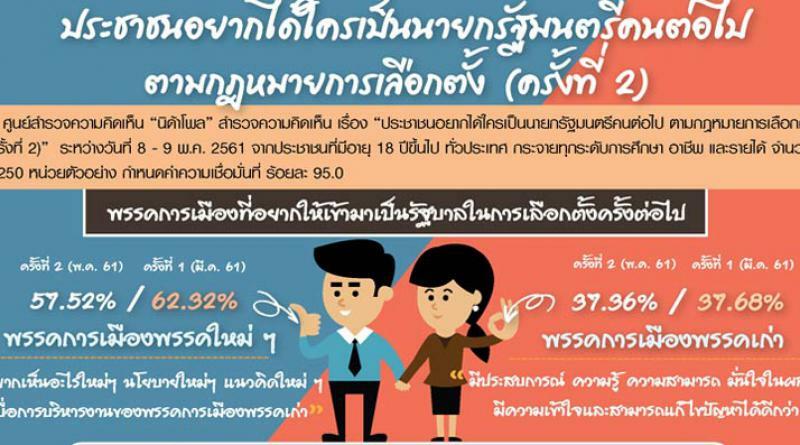 Coming first as the political party that the public in this survey want to set up the next government was Pheu Thai with 32.16%; second was Phalang Pracharat (which supports Gen Prayut) with 25.12%; and third Democrat with 19.20%. The biggest problem which the public want the next prime minister to focus on is public income and debt, joblessness and low crop prices with 71.04% highlighting these issues; next was corruption and abuse of power with 13.84% pointing to this. However, the majority, 57.76%, don’t believe an election will be held in February 2019 because the country’s political situation is not normal yet and is constantly shifting while it has been postponed many times already but 31.68% believe it will be held then.